Microsoft has announced the all-new Surface Pro 6 and it is packing a lot more performance than its predecessor and it thanks to the new quad-core processor from Intel. The tech giant has also highlighted some other specifications of the Surface Pro 6, including a double-digit battery life as well as a brand new display that could possibly contribute to that battery life. Here is everything you need to know about the latest Surface product from Microsoft. 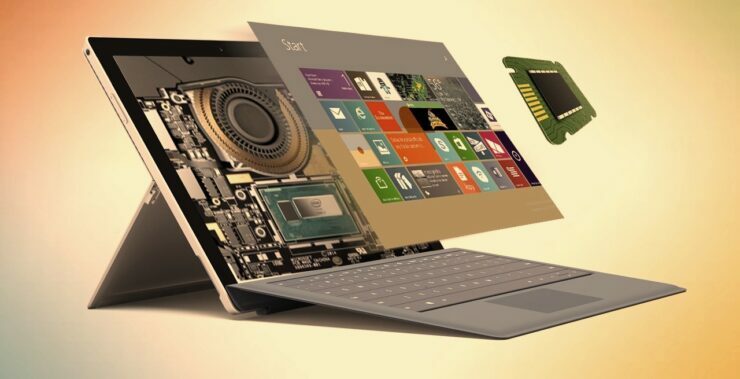 The Microsoft Surface Pro 6 features the latest 8th-generation Intel processors that pack a quad-core chip that is designed to be up to 67 percent faster than the fifth-generation Surface Pro. It features a 12.3-inch PixelSense display and that is also multi-touch capable. According to Microsoft, the Surface Pro 6 has been redesigned to pack the latest internals while also providing portability and an all-day battery life. As mentioned above, the Surface Pro 6 is armed with a quad-core chip, and we’re guessing that the 2-in-1 features a Core i5 processor for the base version. The silicon is designed to present more multitasking options for the user thanks to the higher number of cores, as well as deliver performance right off the bat. If you have not checked out several videos on YouTube, Intel’s eight-generation processors outfitted in notebooks are capable of carrying out video rendering and on a portable device like the Surface Pro 6, that is going to be a killer combination. Microsoft has not detailed the exact battery capacity present inside the Surface Pro 6, but the company does state that the machine will be able to give you 13.5 hours of endurance. That is very impressive, but that will also depend on the kind of work you’re doing on the Surface Pro 6. Surface Pro 6 is available for pre-order in select markets beginning today with additional market availability expected in 2019. You can pre-book the Surface Pro 6 from Microsoft Stores in the U.S. starting October 16. The base model carries a price of $899, and it will shoot up depending on how powerful the top-end version ends up being. Do you think that Microsoft has finally delivered a product that will give users portability and performance straight out of the box? Let us know down in the comments.